I've been struggling to find a word to sum up 2017. Marathonic? This year, I am particularly grateful to friends, family and the creative community for their unending support. As in previous years (2011, 2012, 2013, 2014, 2015, 2016), here is my annual recap of how my year unfolded. January started at a slower pace, getting things lined up for the year. I took some time to archive my Alphabet-a-Day project. I also created a meaningful and memorable sign for the Women's March. In February, things went from a jog to a sprint. I released a new screen-printed Valentine cards. I zipped over to Regina to teach a Ligatures brush lettering workshop. 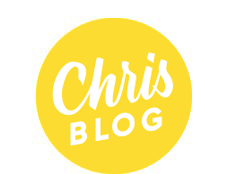 Then, I was invited to speak at Creative Mornings Toronto; you can listen to the talk here. I completed my largest mural to date for Chocolats Favoris in Aurora, ON. I also had a super fun time doing a Ligatures sign painting workshop at Honest Ed's for Toronto for Everyone! In March, I painted two charming signs for Sweet Gale Gardens, lettered a book cover for Shawn Hitchins, and created a new hand-lettered wordmark for UPPERCASE Magazine’s Make it Worthwhile project. On April 1st, I invited my first intern to the studio. Chloe Develle joined me from Paris, France, where she is studying graphic design at l'École Nationale Supérieure des Arts Appliqués et des Métiers d'Art. Chloe used the studio to practice her lettering, and help me with a few cool projects (more in June…) I was also interviewed by TFO, a publicly funded French language educational television station and media organization, serving the province of Ontario. You can view the interview here. We had a quick set of Ligatures brush lettering workshops at C Studio. I also shared a new hand-lettered wordmark for Bay Street Bull. In May, we took Pixel & Bristle to the Drake Devonshire in Prince Edward County. I also did some branding for CdnStudio & Spider Web Show Performance. I was also a judge at the Adobe Creative Jam at OCADU. June was exceptionally jam-packed. The highlight of the month (and the year!) was the launch of my first monograph, ABC250, in conjunction with a companion art show and book launch at Black Cat Artspace in Toronto. And for extra fun, I also unveiled my new 2017/2018 collection, which included dozens of new prints, postcards, greeting cards, apparel, and a special collaboration with SIGG water bottles. I also had a booth at Roncy Rocks! In July, I co-curated and participated in Pixel & Bristle at The Drake Hotel, designed a logo for Cookie Dough Stand in Calgary, and completed my second mural of the year: an optimistic message in Toronto laneway. I also shared hand-lettering for a tasty new book, Brad Long on Butter. August was surprisingly busy this year. I had the privilege of designing three cups for Sorry Coffee in Toronto. I shared my final mural of the year: an epic 3D mural for Cutler & Gross on Queen Street. But the biggest event of the month was attending my first TypeCon in Boston, where I had a table of offerings at the Marketplace, and a live lettering demonstration. So fun! In September, I started a series of 12 new Toronto the Great prints, starting with Queen Street West. I released a new print each Monday for 12 weeks; you can see them all here. Then, I headed to Montreal for ATypI (Association Typographique Internationale), where I taught a digital lettering workshop, and then presented a new talk called "From stroke to screen"; you can view the full talk here. On Sept. 23-24, I participated in the Queen West Art Crawl, one of Toronto's largest outdoor art markets. I also refreshed the store front of Telegramme Prints & Framing on Ossington. In October, I took a couple moments to breathe. A new UPPERCASE magazine hit the stands, featuring a fun abecedary that I wrote and illustrated. I also revealed a companion print. November began with a big announcement. My art had been selected for City of Toronto's King Street Pilot project. (#major) My work was also featured at the Buddies in Bad Times annual Art Attack auction, which raised money for Canada's most exciting LGBT theatre. I also shared my first lettering project for La Maison Simons, one of Quebec's finest department stores. The month wrapped up with the annual Pixel & Bristle holiday market at The Drake Hotel, where I unveiled my showcard-inspired sign painted holiday cards. December was the most wonderful time of the year, with pop-ups at Gloria cafe, holiday deliveries a-plenty, and then Toronto's favourite market, City of Craft. It was a perfect way to bookend the year. As you can see, this year was epic. It most certainly would NOT have been possible without the support of YOU – those who purchased a print from my shop, liked one of my Instagram photos, attended a talk, or visited my live lettering booth. I am grateful to continue doing work that I love. THANK YOU! Let the craftiness begin! 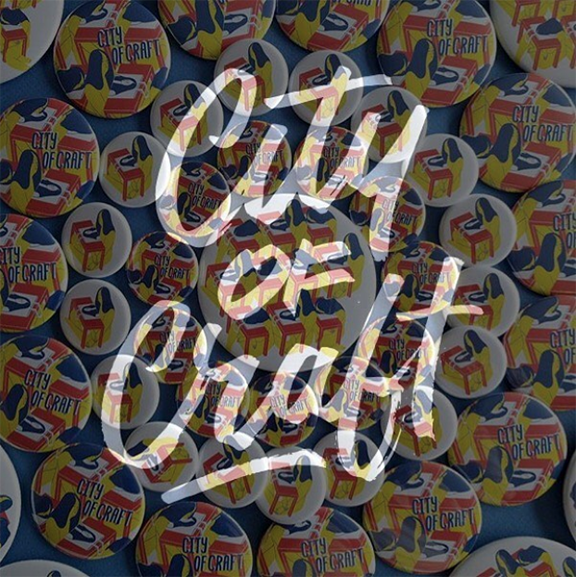 I’m honoured to be one of the vendors at City of Craft, Toronto’s favourite holiday market. Stop by The Theatre Centre in the next three days to check out the best local artisans and craftspeople.